Here, you’ll find helpful tools, books, and products that I’ve personally used and highly recommend. 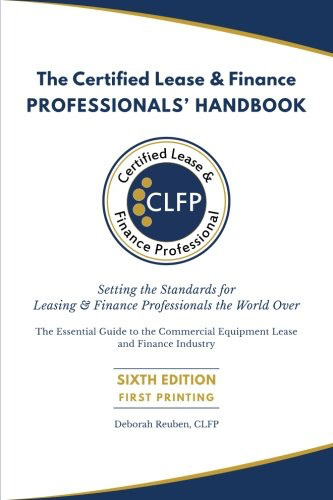 for professionals seeking CLFP certification. So many options, so many choices. Finally, a box top for all of the pieces of the Equipment Finance Software Puzzle. For years, Deb had been drawing the same picture on client whiteboards to help them see and understand how the software pieces fit together in leasing and lending businesses. 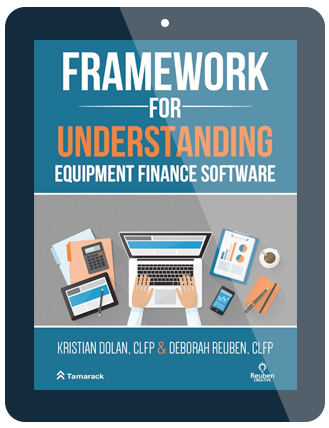 In collaboration with Kristian Dolan of Tamarack Consulting, Deb created this guide to demystify the technology needed to operate an Equipment Finance (“EF”) company by providing a foundational framework for understanding equipment finance technology. This guide will help you make informed decisions about your technology investments.